Abusir: Lost Ancient High Technology used on granite! 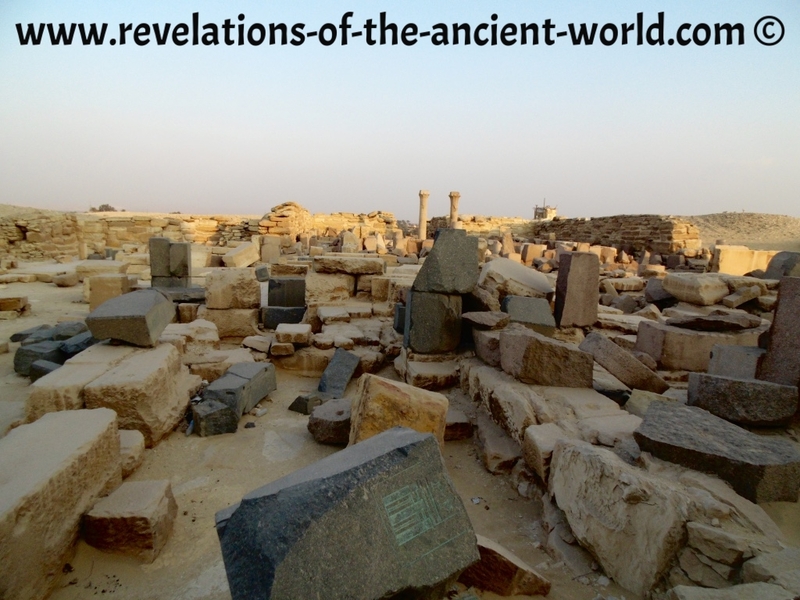 Abusir, only a 30min-drive away South of the Giza plateau, is one the most enigmatic sites in Ancient Egypt. Enigmatic because it holds among the most undeniable proofs of lost ancient high technology usage for working granite and rose granite. Speed, pressure, material, we investigated on site! This archeologic site is famous for its pyramids from the V. Dynasty, the name “Abusir” comes from “Per Ousir”, Home of Osiris. The site is itself located a few hundreds yards from Abu Ghorab; another mysterious site that we will have plenty of time sharing with you as well. Only five pyramids are accessible in Abusir. Those of the Pharaohs Sahourê, Niouserrê, Néférirkarê, Néferefrê and the one of Queen Khentkaous II, being escavated since 2015. Currently closed to tourists, we still managed to spend a few hours on site in order to deliver some outstanding findings. Before getting authorized on the site, you need to negotiate a bit. Leave a little backshish (actually, say that you will leave one, as a backshish should always be given at the end to avoir getting ripped off) and explain that we know the site, prove that we are very knowledgeable and that we are not “tourists”. 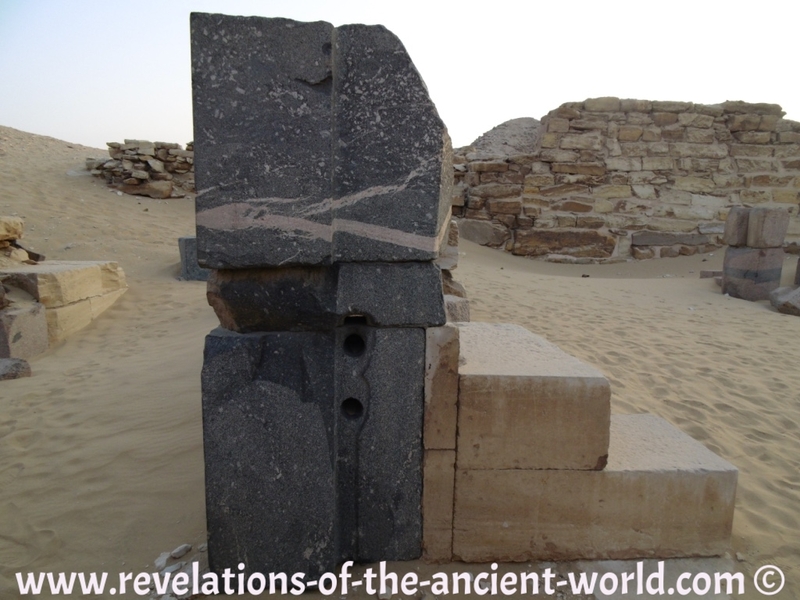 The first thing that strikes upon arriving at the pyramid of Sahu-Rê, the northernmost in Abusir, is the total chaos. An inexplicable entanglement of limestone, alabaster, granite and rose granite accomplishments. Nothing makes sense. 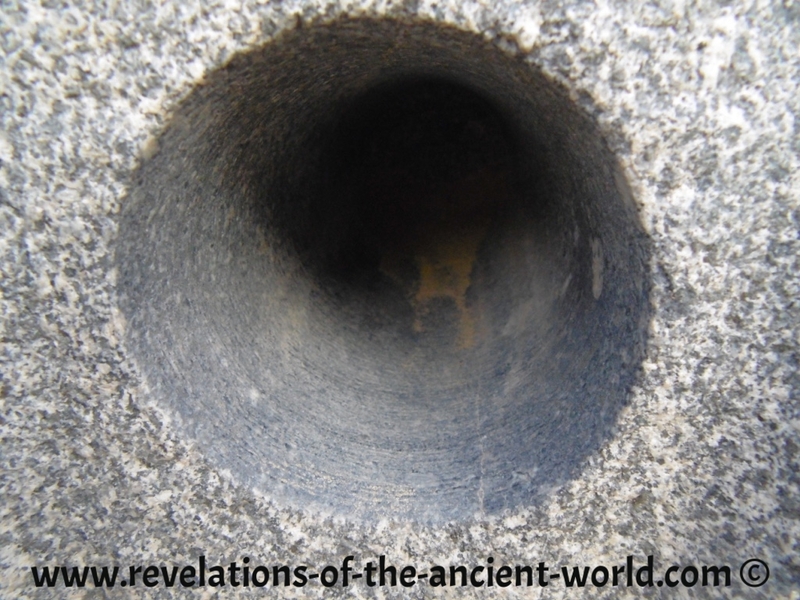 Along the discovery, and this is what this article is about, we came face to face with numerous core drilling holes in granite. 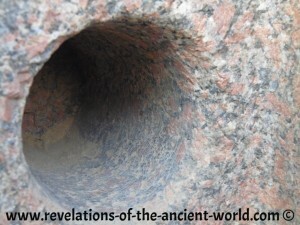 Instantly struck by our school memories, we tried to figure out the speed at which small Egyptians had to rotate, manually, their tool to drill granite. 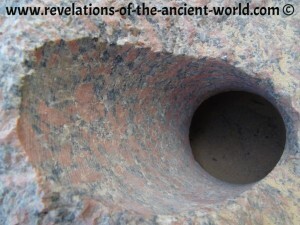 Then we remembered what we had seen in Giza (click here to read the article) and we tried to be logical: if different findings with different features (cuts in Giza, drilled holes in Abusir) all show evidence of technology, then we will pragmatically explore again the option of lost ancient high technologies. In order to do that, we need to be honest and examine modern core drilling techniques. 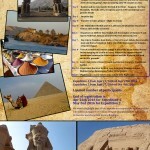 Modern technology in Ancient Egypt? 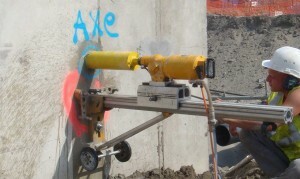 Today, to drill granite, we are using hydraulics-pressured diamond-tipped machines. This is the first anomaly. 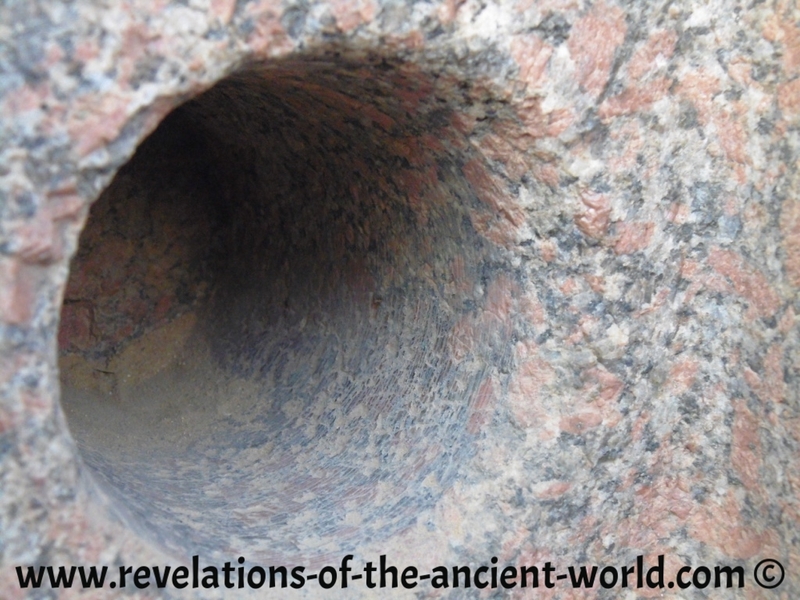 Egyptologists claim that Ancient Egyptians cut granite using copper saws, water and sand. Fine. Cutting granite, separating a stone block into 2 pieces, we do not doubt this. It is doable. 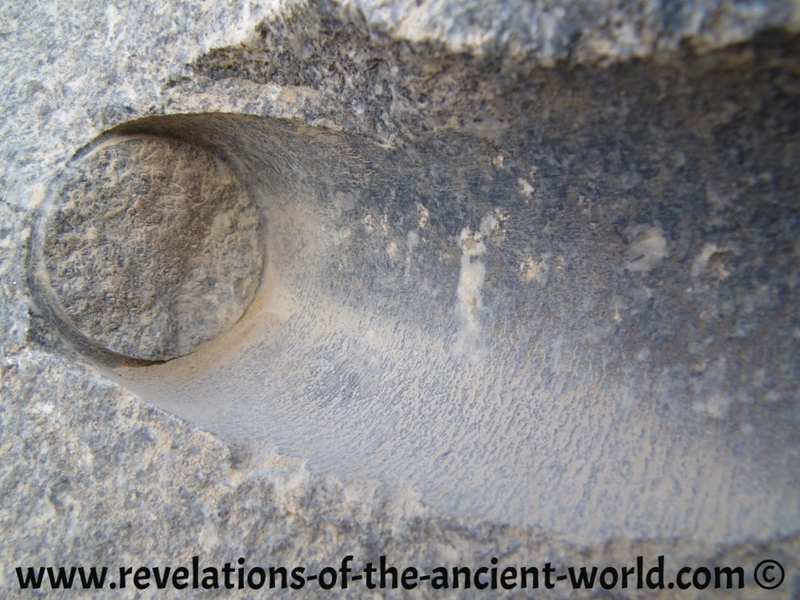 But to reach the level of precision found in Abusir, manual work is not enough. Not enough in terms of pressure and regularity. 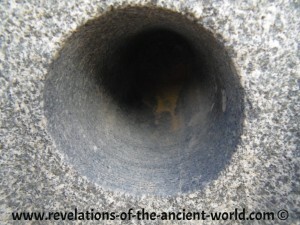 In order to cut granite today, we try to reach a pressure on the drilling head of 18-30lbs/sqi. Which is 226 to 380lbs of pressure for a 4-inch diameter drill hole…How can you apply such pressure by hand while keeping a mobile tool in order for it to actually perform the drilling?! One should also carefully look at the penetration rate of the drilling device to measure this incredible accomplishment, even more so that we are not talking about one isolated hole, but numerous occurrences. 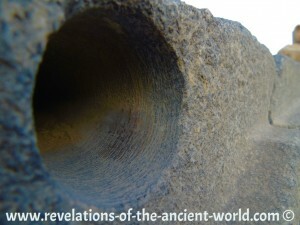 In all those drilled holes, we can see grooves. These grooves help determine the power of the machines. The space between 2 grooves indicates how further the machine goes after each drilling revolution. The spaces between grooves in Abusir are between 1/25 of an inch and 1/10 of an inch. In 1983, Chris Dunn inerviewed Mr. Donald Rahn from Rahn Granite Surface Plate Co in Dayton, Ohio. Rahn indicated that in order to drill granite, they were using heads drilling at a revolution speed of 900rpm (15rps) going 1 inch into the rock every 5 minutes (300 seconds). In other words, 2/10000 of an inch for every revolution [(1inch/300s)/15rps]. The tools used by Egyptians were therefore 180 (for 1/10 inch between grooves) to 450 (for 1/25 inch between grooves) times better performing than our 1983 modern technology. This is properly stunning. 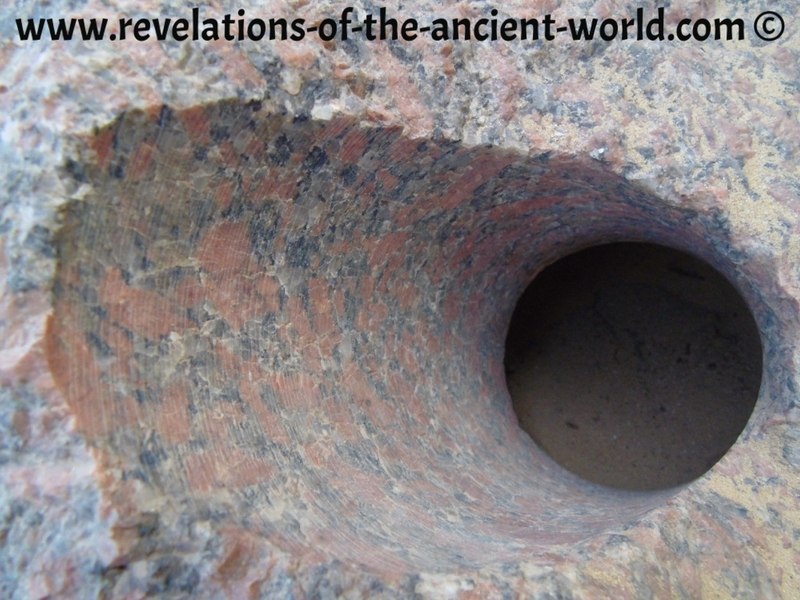 Hopefully, more recently, new technologies allowed some clear breakthrough, just like this one https://www.youtube.com/watch?v=JhXl8rrVzTU bringing us closer to what Ancient Egypt used to do. In this video, we see a 10-inch hole being drilled in only 3 minutes (180 seconds). A real feat! Let’s do the same calculation. But this time we will take a 1200rpm/20rps revolution speed, 33% faster than 1983. [(10 inches/180s)/20rps] = 1/18inch per second, or 1/360 inch per revolution versus 1/25 inch per revolution in Abusir. We are still 14 times less effective than Egyptians with grooves separated by 1/25 of an inch. 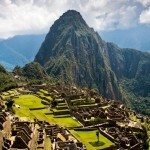 Ancient Egyptians or Pre-Flood Civilization? It seems unlikely that Dynastic Egyptians are the ones behind the most advanced accomplishments found in Abusir. We don’t challenge the mastabas (Khekeretnebti, Tisethor, Hedjetnebou, Netjerirenrê, etc…) which features are more easily achievable for the 5th Egyptian Dynasty, but we are once again facing the likeliness of a pre-flood highly advanced civilization. A pre-flood highly advanced civilization that occupied the Land of Osiris before disappearing, leaving behind the remains of ancient high technology that got erased as millennia passed by.